GUARANTEED CLEARER, SMOOTHER BEAUTIFUL SKIN â€“ Say goodbye to pesky stray hairs with these PRECISION tweezers. You will notice a dramatic difference in performance compared to store bought tweezers. PERFECT GIFT FOR HER OR HIM â€“ Give your loved ones the gift of a beautiful pair of modern, sleek tweezers that will make them throw their old ones out! 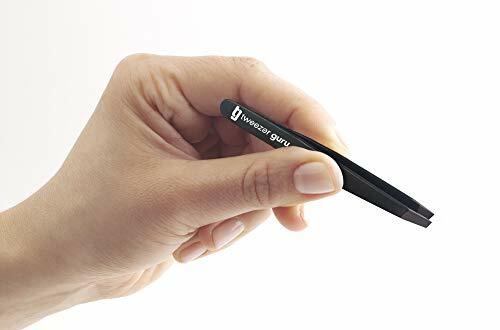 STRESS FREE BEAUTY ROUTINE â€“ Say goodbye to the frustration of your old eyebrow tweezers and marvel at the perfectly aligned tips of your new TweezerGuru tweezers. Perfectly calibrated tension for more control and a stress free tweezing ritual. QUALITY THAT LASTS A LIFETIME â€“ Stainless steel slant tip design that is durable & easy to clean. You will never need another pair of tweezers. 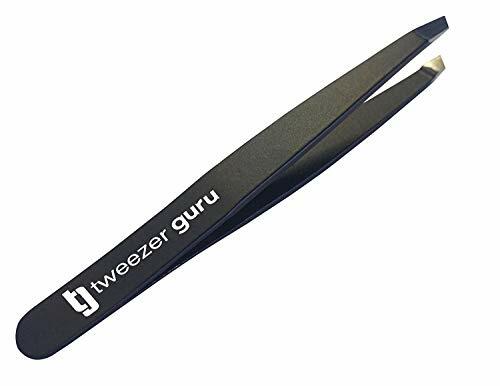 FROM A TRUSTED FAMILY BRAND â€“ These slant tip tweezers are brought to you by the makers of TweezerGuru pointed tweezers for ingrown hair, a 5-star rated pair of professional tweezers.